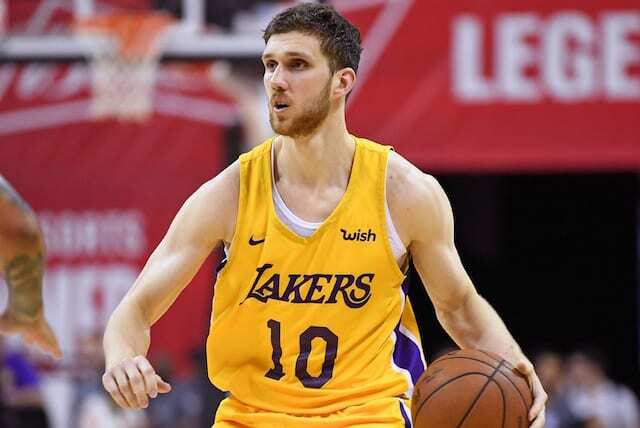 The Los Angeles Lakers finally made the big splash they had been looking for in free agency when they signed LeBron James. As it turned out, president of basketball operations Magic Johnson secretly met with James at the outset of free agency and went over exactly what the team’s plans were, selling him on the idea of joining the Lakers. Magic has always been one of the most respected people in the NBA, especially by other players. He commands the room when he enters and when he speaks, people listen. That was obviously the case for LeBron, and it also gave Lakers owner Jeanie Buss further validation in tabbing Johnson to lead the front office. James and Johnson certainly have a lot in common both on and off the court. As Buss pointed out, the Hall-of-Fame point guard is a midwest person who also relocated to Los Angeles. James also has huge business aspirations much like Johnson has already accomplished. 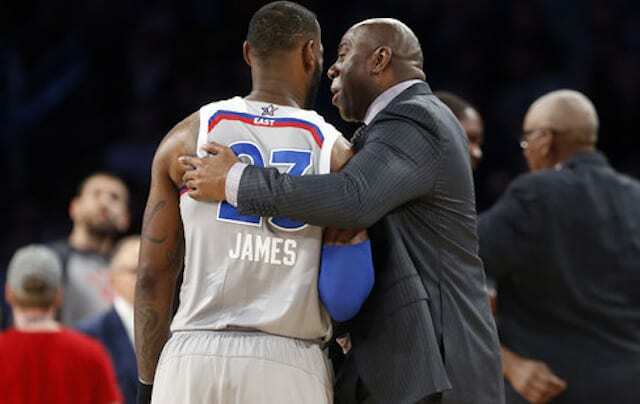 On the court, both were unreal playmakers with amazing court vision who made their teammates better so it makes sense that LeBron would have a great connection with Magic. Ultimately, everything has worked out for all sides. Jeanie made the right decision to bring in Magic and it paid off with LeBron now in purple and gold. The Lakers are already on their climb back to the top of the NBA.